Knitting is a fun and lovely hobby. The clothes you knit can be excellent presents for others or you may wear them yourself. Mostly knitters, who are amateurs, prefer using a single color for their entire piece of clothing that they knit, as it very simple. However, as and when you become better with practice, you can learn to change colors for creating patterns. 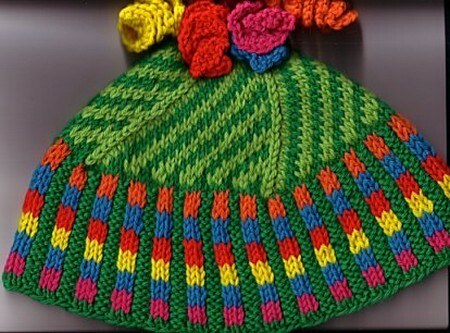 This definitely gives a great look to your knitted piece as you can create beautiful multicolored patterns. Ending the first color. For changing the color, you will have to finish the first color. Do this by tying a small knot on the yarn and cutting it off. The point where the first color ends should not have a long end, for otherwise, the point where you are ending the first color will be very prominent. You may also leave the first color without tying any knot and knit it in along with the new color you will be using. Starting the new color. In case you tie a knot to finish the first color, you can start the second one by knitting it on the ending of the row of the first color. If you have left a tail behind at the row end, you can get the ending point of the second color yarn and join it with the end of the first color yarn by knitting the two with each other. Continue the same till you get some knits of the second color. Ending the first color. End the old color by leaving an allowance of a minimum of four inches in order to knit the two differently colored yarns with each other. Connecting the two colors. Get the yarn of the second color and join the two yarns together by entwining them. After this you can knit the new color. Once you are done, remember to weave in those ends where you joined the two yarns with each other. Above mentioned were the simple steps to pursue if you want to change colors while knitting. You can try and gather more information about the different techniques used in knitting. While using two differently colored yarns, try to use yarns of the same weight and size so that the whole project looks neat and uniform. Otherwise some parts will appear to be bulky while others will be light.